Last year, I participated in the Finish-A-Long for the first time. I found it helpful because it kept me focused on one part of year, but also forced me to plan out the rest of the year a bit (and I'm a list lover, so there's another plus). 1. Doe scrap/improv quilt - I want this to be a quilt top, and I want it now! It needs to be quilted, basted, bound, FINISHED. This is a just-for-fun-I'm so excited quilt. I love this one and would even more LOVE to really give it some more attention! 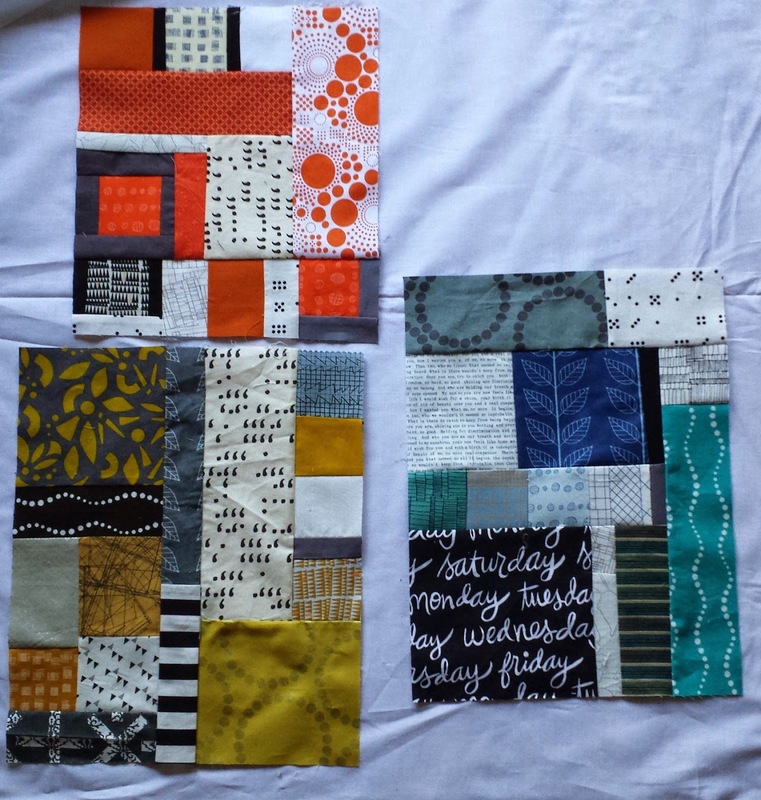 I have some ideas swirling around in my head about how to quilt the negative space between the blocks. I just bought a pretty eggshell white Free Spirit fabric to work with. I can't wait to dive in soon. I already have 8-10 blocks! 2. Finish my winter mini quilt - hopefully soon! I'm just figuring out how to quilt it. I've shown some snippets of it on Instagram. 4. 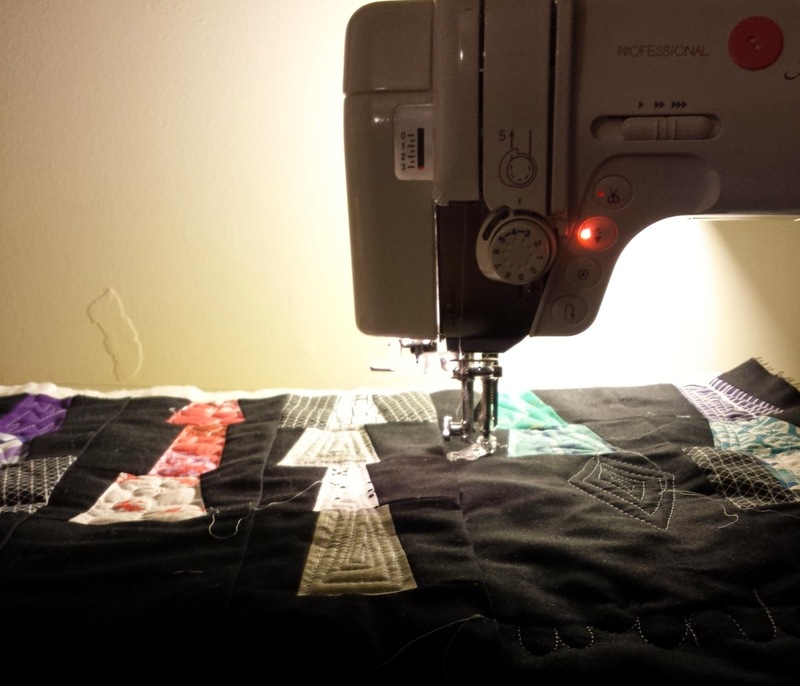 Finish my Sisterhood of the Traveling Quilts quilt! 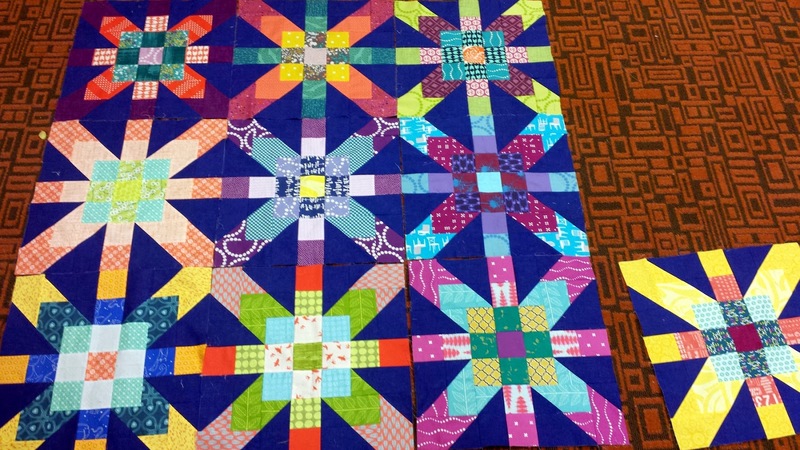 We're starting another round at QuiltCon (which I have to decide about, too) with some more amazing sewists, and it would be great to actually finish this one. 5. Finish my CJMQG bee quilt from last year. I asked my bee mates to make any block using flying geese. This will be a fun one to piece together improvisationally, so I'm looking forward to the challenge. 6. 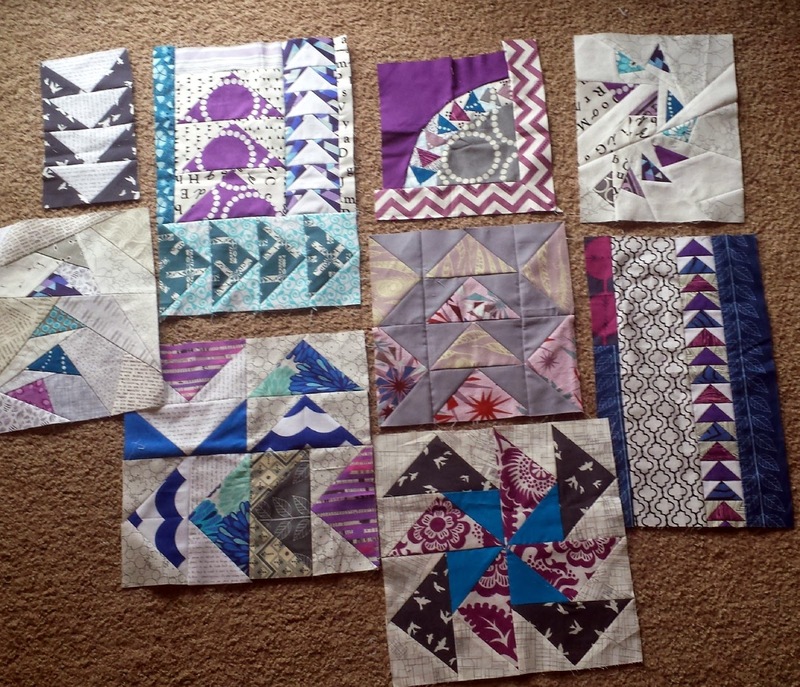 Finally, it would be awesome to finish the Supernova quilt. I want to finish it and use it but it's not number 1 on my list for finishes. There is at least one other that was started before this one. We'll see! So many lovely projects!! Get on it'! great goals and I particularly love the supernova and am interested to see how doe progresses (have bought doe myself). The dress is only too much if you carry a book and a banner saying "I love Anne Marie"! Some interesting looking projects! I'll enjoy seeing the results!! Love your projects. Can't wait to see them finished. The improv blocks are gorgeous. Love all of these- good luck with your goals!